Self-Study Syllabus on the Chinese People’s Liberation Army (American Mandarin Society, 15 January 2018). for the coming fiscal year. You can expect this event to be followed by an outpouring of commentary on China’s “double-digit” growth on defense spending. The reality of China’s defense spending is more complex, and the budget from the 1980s to the present tells a significant story about the priority the PLA has claimed within the Chinese policymaking. Adam P. Liff and Andrew S. Erickson, “Demystifying China’s Defence Spending: Less Mysterious in the Aggregate,” The China Quarterly, No. 216 (December 2013), 805–830. “Whenever a major new report, book, or article appears on the PLA and Chinese national security policy, U.S. Naval War College professor Andrew Erickson will post a link to it and occasionally comment on it on his personal website. 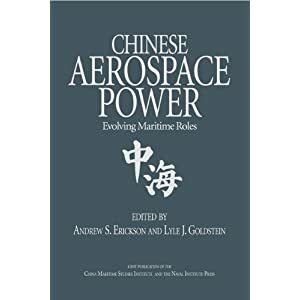 Andrew S. Erickson and Lyle J. Goldstein, eds., Chinese Aerospace Power (Annapolis, MD: Naval Institute Press, 2011). Ashley J. Tellis and Travis Tanner, eds., Strategic Asia 2012–13: China’s Military Challenge (Seattle, WA: The National Bureau of Asian Research, 2012). Larry M. Wortzel, The Dragon Extends Its Reach: Chinese Military Power Goes Global (Washington, D.C.: Potomac Books, 2013). Self-Study Syllabus on Chinese Foreign Policy (American Mandarin Society, 15 January 2018). 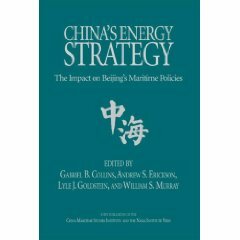 China’s more assertive approach to handling its maritime territorial disputes in the South China Sea illustrates the tension between China’s attempts to defend its sovereignty claims and its desire to maintain constructive relations with its neighbors and a regional security environment conducive to economic growth and development. Stirring Up the South China Sea, International Crisis Group, Asia Report No. 223 (April 23, 2012). Andrew S. Erickson and Conor M. Kennedy, “China’s Maritime Militia: What It Is and How to Deal with It,” Foreign Affairs, June 23, 2016. 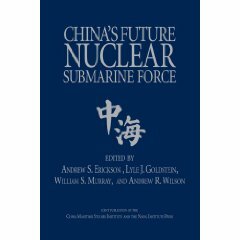 Andrew S. Erickson and Conor M. Kennedy, China’s Third Sea Force, People’s Armed Forces Maritime Militia: Tether to the PLA, U.S. 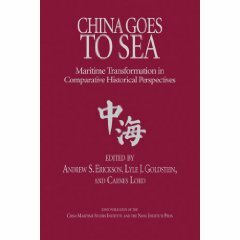 Naval War College – China Maritime Studies Institute, China Maritime Report No. 1 (March 2017). Beijing’s push for companies to “go out” internationally has led to increasing numbers of Chinese living, working, and traveling abroad. Chinese people have become targets for attacks and kidnappings, but Beijing has not developed an adequate framework within the traditional bounds of its foreign policy. That, however, is starting to change. Mathieu Duchâtel, Oliver Bräuner, and Zhou Hang, “Protecting China’s Overseas Interests: The Slow Move Away from Non-Interference,” Stockholm International Peace Research Institute, SIPRI Policy Paper, No. 41 (June 2014). Ely Ratner, et. al., More Willing & Able: Charting China’s International Security Activism, Center for a New American Security, May 2015. Thomas J. Bickford with Heidi A. Holz and Frederic Vellucci Jr., “Uncertain Waters: Thinking about China’s Emergence as a Maritime Power,” Center for Naval Analyses, (September 2011), chapters 1-4. Andrew Scobell and Mark Cozad, “China’s North Korea Policy: Rethink or Recharge?” Parameters, Spring 2014.